There is much to choose from on today’s travel deal list, one offer will surely suite your plans! 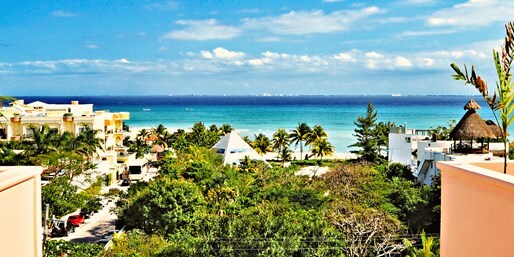 You can book – among others – a 3 nights vacation in Playa del Carmen for $469 per person with departure on select dates through December 15 2015. Other worldwide travel deals we have here include domestic airfares nationwide on Virgin America for $49 one way, all-inclusive vacation at Oasis Tulum on the Mayan Riviera for $449 per person or the Sandals Grande Antigua resort for $304 per night. Hurry up, these deals will sell out in a minute! This Playa del Carmen getaway includes 3 nights stay at the Acanto Hotel and Suites, daily breakfast for two, free Wi-fi plus taxes. Acanto Hotel and Suites is a nice boutique hotel in a quite street of the city, secluded from all the noise. You would stay in a spacious one bedroom suite with a private terrace, fully equipped kitchen and a separate dining and living area. Guests would be just a block away from the beach and they also have free access to two beach clubs plus discount cards to nearby restaurants and spas. Be smart and compare the rates of some sites from the box to see if you can find a better Playa del Carmen vacation than we did!